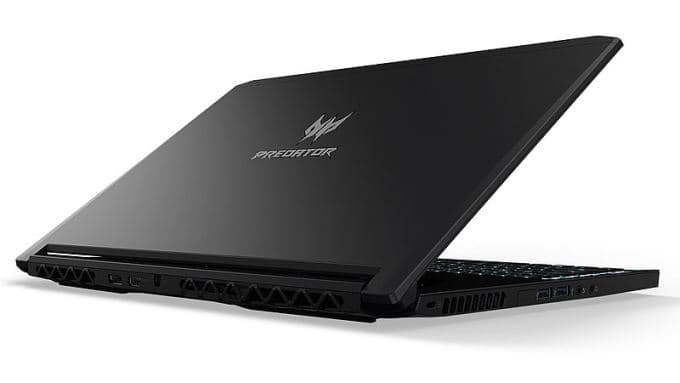 Acer has launched its latest gaming laptop, Predator Triton 700 in the country for a whopping price tag of Rs. 2,99,999. The device was first unveiled at the company's Next@Acer event at New York in April this year. The Taiwanese giant, has incorporated power packed features in the Ultra slim device which include a seventh generation Intel Core i7-7700HQ processor, Nvidia GeForce GTX 1080 GPU, Dual Acer AeroBlade 3D Fans, a mechanical keyboard, PredatorSense software and NVIDIA G-SYNC monitor support. It further features a 15.6-inch full-HD (1920 x 1080 pixels) IPS LCD display with LED backlighting, 300-nit brightness, a 120Hz refresh rate and 170-degree viewing angles. A large Corning Gorilla Glass plate above the keyboard serves as a window into the notebook’s cooling system, showcasing the AeroBlade 3D Fan and five heat pipes, and also functions as a touchpad. Powering the beast within is a latest high-performance NVIDIA GeForce 10-Series graphics, two 512 GB NVMe PCIe SSDs in RAID 0 configuration and up to 16 GB of DDR4 2400 MHz memory which is extendable to up to 32 GB. Rounding out the notebook’s powerful features are Killer DoubleShot Pro networking and Thunderbolt 3 connectivity, which provides speeds up to 40 Gbps and supports dual 4K video output. The Predator Triton 700 also includes two USB 3.0 ports (featuring power-off USB charging), one USB 2.0 port, an HDMI 2.0 port, one DisplayPort connector and a Gigabit Ethernet port for those preferring a hard-wired connection. The keys are RGB backlit on the mechanical keyboard and can be individually programmed. PredatorSense software on the other hand enables gamers to control and customize Triton 700's vitals from one central interface. The laptop also features Skype for Business Certification for top notch teleconferencing. The device weighs 2.6 kg and runs on a battery power of 4670 mAh to deliver up to 5 hours of action. The sleek machine boasts of 3D Dolby Atmos Sound and Acer TrueHarmony technologies for an enhanced audio experience. It also has two stereo speakers. With all the competent features, this machine seems to be aimed at making the user experience more immersive with uncompromised power and maximum efficiency. 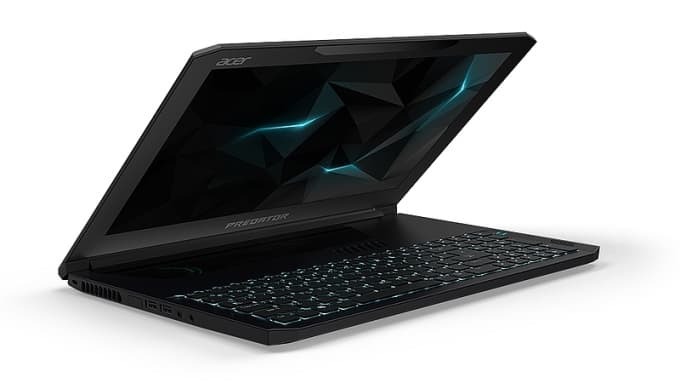 Gamers looking for a sleek design with uncompromised power will find the Triton 700 to be the perfect machine, quoted Chandrahas Panigrahi, Acer India CMO and Consumer Business head at the launch. The laptop would be available in India through Acer Exclusive Stores and authorized online stores for Rs. 2,99,999.